The Project is to designing and developing the scanning Qr code (Android application) which will be used by customers to scan 5 different packages of cashew nuts, coming from 5 different farmers. 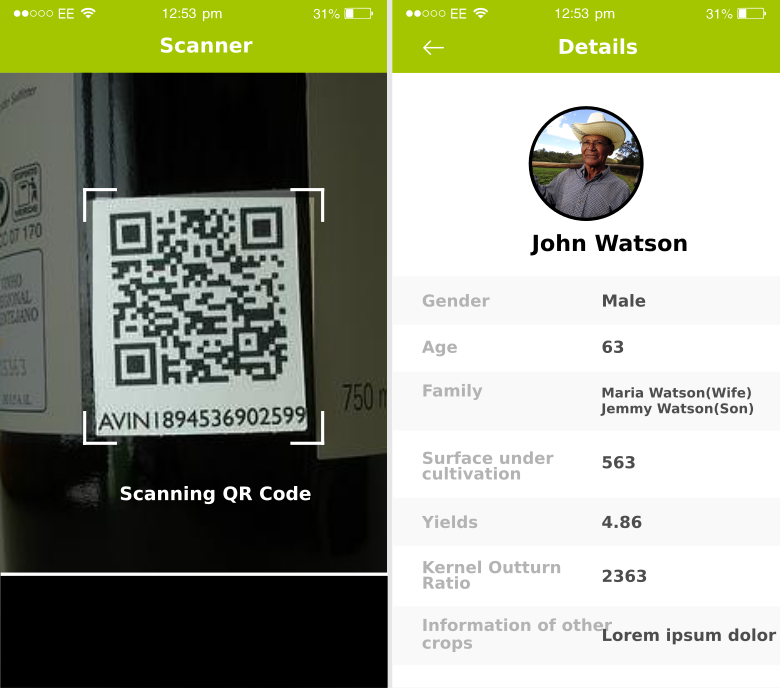 After scanning the QR codes, the app will show some basic information of the farmer. Application will be only in one language i.e. German and application work in offline mode as well.